‘It was Krish who decided to walk out and not be present at the reshoot,’ a statement from the actress’s publicity team alleged. 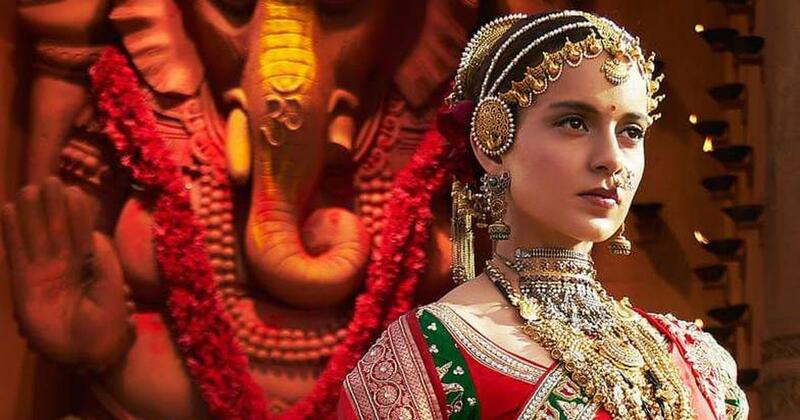 In the latest round in the public tussle between Kangana Ranaut and Krish over directorial credit for Manikarnika: The Queen of Jhansi, Rangoli Chandel, the actress’s sister, on Wednesday shared images of messages that she claimed Ranaut had sent to the Telugu filmmaker in December, explaining to him why portions of the film had been re-shot. The screenshots were also released to the media by Ranaut’s publicity team. Krish has accused Ranaut of hijacking the filmmaking process even though he had been brought on as solo director. The January 25 release credits Ranaut and Krish as co-directors. According to the screenshots shared on Wednesday, Ranaut, on December 6, allegedly wrote to Krish explaining that the film had to be reworked because “Mr Goyanka” (Punit Goenka, the managing editor and CEO of Zee Entertainment, whose Zee Studios banner distributed the film) refused to clear the version shot by Krish. She claimed that “new material” had to be written – which “Mr. [Vijayendra] Parsad and Mr. [Prasoon] Joshi wrote” – and that she had nothing to do with the decision. The Rani Laxmibai biopic, released on January 25, credits Ranaut and Krish as co-directors. Ranaut is also the film’s lead actress. Krish, Ranaut and her team alleged, did not reply to these messages. Shortly after the film’s release, Krish, on January 25, alleged in an interview entertainment portal Spotboye that Ranaut assumed had control of the project and reworked more than 25% of the film after he had almost finished his version. In a statement on Wednesday, Ranaut’s media team said the screenshots refute Krish’s claims. “After the fallout between the producers and Krish over the first edit, Kangana actively ensured the Krish gets his due credit and he is actively involved, however it was Krish who decided to walk out and not be present at the reshoot or bother with supervising the post production,” the statement added. Krish had also accused Ranaut of cutting down the screen time of supporting actors, including Atul Kulkarni and Prajakta Mali, and blamed her for actor Sonu Sood’s exit from the project last year. Sood was replaced by Mohammed Zeeshan Ayyub. On January 28, Chandel and censor board chairman Prasoon Joshi spoke up in Ranaut’s support. In a tweet, Joshi, who ho is also the film’s dialogue writer and lyricist, said Ranaut had “elevated the film to another level” and praised her work as an actor as well as director. “Let not any controversy take that away from her,” Joshi said.